A large migrant caravan numbering between 1500 and 2000 has arrived at Piedras Negras, Coahuila, Mexico, across the border from Eagle Pass, Texas. 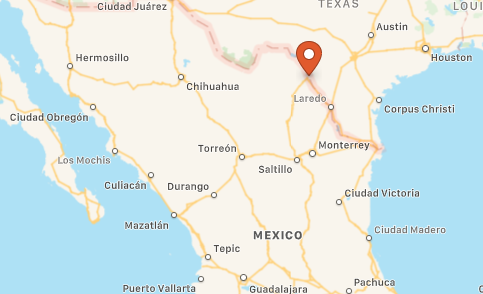 This is apparently the same caravan we reported on January 31, which at that time was leaving Mexico City, headed north. Yesterday, they arrived, on 55 buses from Saltillo, Mexico. In response to the approaching wave, U.S. Customs and Border Patrol agents stepped up their activities on the American side over the weekend, enhancing border protection with helicopters in the air, boats on the rivers, and barriers on the roadways. Most of the migrants are expected to apply for asylum. For more, see CBS Austin News.